Prince Harry will make an official visit to St. Kitts, Nevis and other Caribbean islands on behalf of Her Majesty The Queen, between Nov. 20 and Dec. 4. His Royal Highness will carry out 14 days of official engagements in Her Majesty’s Realms where The Queen is Sovereign, in addition to Guyana. a member of the Commonwealth. The visit will mark the occasion of the 35th Anniversary of Independence in Antigua and Barbuda, and the 50th Anniversary of Independence in Barbados and Guyana. A government spokesman said Prince Harry is honoured to be visiting the Caribbean in the year of The Queen’s 90th birthday, and to continue to develop The Royal Family’s strong bonds with the people of these important Commonwealth countries. While these Caribbean countries may be relatively small in size, each has more than their fair share of natural wonders, inspiring individuals and unique cultures which His Royal Highness will experience during this two week tour. The visit will see Prince Harry carry out a wide variety of engagements across the seven countries, from official anniversary ceremonies and meeting with inspiring conservationists and young leaders, to engaging with well-known cultural figures and national sporting stars, to seeing the impressive work of a number of important local organizations and charities. His Royal Highness will pay special attention to issues which are common throughout the region, and will learn how each country and local community is responding to these challenges. Prince Harry will experience first-hand the importance placed on protecting the environment and conservation; including vital turtle conservation projects in Nevis, and the replanting of the coral reefs in the seas that surround Grenada. The tour will begin in Antigua on Sunday on Nov. 20. Upon arrival at V.C. Bird International Airport on a scheduled, commercial flight, Prince Harry will be met by the sights and sounds so traditionally associated with the Caribbean, as a local band provides the soundtrack for an Antigua and Barbuda Defence Force military parade, during which His Royal Highness will formally inspect the Guard. That evening, Prince Harry will attend a reception hosted by the Governor General, His Excellency Sir Rodney Williams, featuring cultural performances introducing His Royal Highness to Antiguan life. This will be the very first event held at the newly renovated Clarence House, a historic building which overlooks the spectacular Nelson’s Dockyard and English Harbour. Evenings in this part of Antigua are renowned for their stunning sunsets, as Prince Harry will hopefully see on his first night in the Eastern Caribbean. His Royal Highness’s first morning in Antigua will kick off with a Youth Sports Festival at the Sir Vivian Richards Stadium. Many Caribbean Islands have a record of producing some of the finest cricket players in the world, and Antigua is no exception. Prince Harry will be hosted by three of Antigua & Barbuda’s cricketing legends: Sir Vivian Richards, Sir Andy Roberts and Sir Curtly Ambrose. Together they will tour the grounds meeting local children and young people showcasing the many national sports played in Antigua and Barbuda. The power of sport to create positive change for young people and communities is a key focuses of Prince Harry’s official work. From there, His Royal Highness will attend a Charities Showcase event in the tropical grounds of Government House, in Antigua’s capital St John’s. Charities including the Nolan Hue and the Halo Foundation, Scouts and the Girl Guides, will highlight the crucial work that they are carrying out in Antigua and Barbuda. That evening, His Royal Highness will visit Barnacle Point to attend a reception hosted by Prime Minister Mr Gaston Browne, at which a number of Antiguan and Barbudian young cultural ambassadors will also be in attendance. Day three of the tour will see Prince Harry leave the shores of Antigua for a short helicopter ride to its sister island of Barbuda. This island remains untouched in many areas, and with a population of around 1800 residents, its famous pink and white sandy beaches can often seem deserted. The same cannot be said however for the nearby lagoons where thousands of Frigate birds flock to each year for their annual mating season, making Barbuda one of the world’s largest colonies for this species. His Royal Highness will get up close to these impressive birds on a boat tour through the mangroves. Back on shore, Prince Harry will make the short walk to one of two schools in Barbuda, Holy Trinity Primary School. Here His Royal Highness will join the school children busy preparing celebrations for the school’s 93rd anniversary of their Founders’ Day. His Royal Highness will then travel the short distance up the road to Sir Mc Chesney George High School, Barbuda’s secondary school with an impressive attitude towards conservation and promoting sustainability. That afternoon, back in Antigua, Prince Harry will unveil the first of four dedications towards The Queen’s Commonwealth Canopy project at the Victoria Park Botanical Gardens in St John’s. The visit coincides with the city’s annual Arbour Day Fair, part of an innovative sustainable program which encourages the public to return used plant bags in exchange for a tree of their own choosing. Prince Harry will meet those behind the scheme, including those growing 90,000 trees to be planted across the island, before unveiling a commemorative plaque to mark the dedication of the park to the QCC, next to an enormous Rubber tree that dominates the gardens. From Antigua, Prince Harry will depart for the second country of the tour, St. Kitts and Nevis. On arrival, His Royal Highness will receive an official welcome by way of a military parade at Port Zante, where Prince Harry will formally inspect the Guard, before departing with the Governor General, His Excellency Sir Tapley Seaton, for his first engagement, a youth rally at Brimstone Hill Fortress. This spectacular UNESCO World Heritage Site sits 800 feet above sea level, in the shadow of Mount Liamigua. Here, Prince Harry will watch traditional dances, hear Caribbean songs and listen to local poetry recitals, all led by the young people of this country. It is here that His Royal Highness will also unveil the St Kitts and Nevis dedication to The Queens Commonwealth Canopy Project – all of the forest above an elevation of 1000 feet within the Central Forest Reserve National Park which also forms an impressive backdrop to the performance itself. Prince Harry will then travel by boat to Charlestown Pier on the neighboring island of Nevis. As he arrives, His Royal Highness will be welcomed to the island by local residents of Nevis who he will have the opportunity to meet, before travelling to a local turtle conservation initiative on Lovers Beach. The Nevis Turtle Group was formed in 2003 by Mr Lemuel Pemberton, and is dedicated to developing a Sea Turtle Conservation Program for Nevis that, by involving the local community, will ensure that sea turtles are protected for years to come. Volunteers work every night on the beaches that surround Nevis tagging sea turtles and collecting information about their nesting habits and movements. Alongside Mr Pemberton, Prince Harry will inspect the turtle nests along the beach, many of which can include up to 500 turtle eggs per nest. On the Nov. 24, His Royal Highness will travel to St Lucia arriving in the afternoon at Pointe Seraphine where he will receive an official welcome to the country. That evening, Prince Harry will attend a reception hosted by the Governor General, Her Excellency Dame Pearlette Louisy, in the gardens of Government House, overlooking the historic harbour of the capital, Castries. That afternoon, His Royal Highness will visit one of St Vincent’s beaches to learn more about the country’s initiatives which inspire young people through education in schools to care about and protect the endangered population of sea turtles on St Vincent’s shores. Following a recent announcement from the Prime Minister, Dr. Ralph Gonsalves, declaring it illegal to catch or kill sea turtles or disturb their nests in St Vincent, Prince Harry will hear directly from the local school children about the various conservation projects they’re involved in to help preserve these endangered species. Before departing St Vincent, Prince Harry will attend a reception hosted by the Governor General and the Prime Minister at the Cruise Ship Terminal. Sunday 27th will be a travel day. That afternoon Prince Harry will visit the Nightingale Children’s Home, an organisation offering accommodation, support and care to children from birth up until the age of 18, including young children with learning disabilities and health problems. During the visit, His Royal Highness will meet some of these children who call Nightingale home, learn about the support available from members of staff, and officially open two of the Home’s recently renovated buildings. Prince Harry will also watch the children partake in a game of road tennis – one of the country’s most popular sports, which dates back to the 1930s. Prince Harry will conclude his first day in Barbados by attending the reveal of the 50th Anniversary of Independence National Monument. This evening event, broadcast live, will take place at the Garrison Savannah, the very site where independence was born at midnight on November 30th, 1966. A special ceremony featuring a variety of performers will commemorate this important moment in Barbados’ history, culminating in the reveal of a monument designed by 24 year old art student Taisha Carrington. The design focuses around the Barbadian trident emblem , which will form the final part of the monument, and which until now has been touring the length and breadth of Barbados, leading up to this moment. The next morning Prince Harry will return to the Garrison Savannah for the 50th Anniversary of Independence Military Parade. National Uniformed Groups will be represented in this colourful and impressive parade, where His Royal Highness will inspect the Guard of Honour and be joined by the Governor General, Prime Minister and other senior dignitaries to continue the celebrations. Following the parade, Prince Harry will join guests at the Officers’ Mess at St Ann’s Fort, where the Prime Minister will deliver a speech and raise a ‘Toast to the Nation’. This evening will see one of the most exciting events of the tour: The Golden Anniversary Spectacular Mega Concert. This extravaganza will be held at the Garrison Savannah, with an expected audience of tens of thousands joining the party. The last five decades of Barbadian history will be highlighted, with live performances featuring the best of Barbadian talent, from singers and dancers, to orchestras, icons and celebrated entertainers, one of whom will be Rihanna – all set to perform. Here, Prince Harry will take in the celebrations, and deliver a short speech before the concert kicks off. 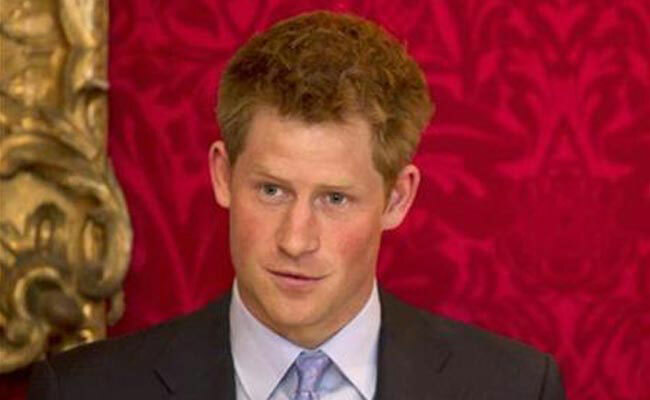 Prince Harry’s final day in Barbados coincides with World AIDS day, a topic of great importance to His Royal Highness. The Barbados National HIV/AIDS programme has highlighted men as being at significantly high risk – they are more likely to be diagnosed late with HIV compared to women and are also more likely to die from AIDS-related illnesses. To raise awareness, the National HIV/AIDS Commission in Barbados is trying to remove the stigma associated with the illness and encourage men to get tested and talk more openly about the disease. Over the last four years, a successful drop-in market-stall event has been run on World AIDS day, featuring stalls including a barber’s shop and even a condom corner, ultimately encouraging men to drop in and have a relaxed conversation about an important topic. A special ‘Man Aware’ event will be held in Heroes Square in the centre of Bridgetown this year, where Prince Harry will take the opportunity to meet with volunteers manning the stands, and members of the public dropping in to visit the stalls. His Royal Highness will then travel to the Barbadian countryside to spend time with the team at the Nature Fun Ranch in St Andrew. This special and impressive programme is run by Mr Corey Lane, himself a once-troubled teen who has devoted himself to helping young people with their personal development, by cultivating positive outlooks. The ranch allows young people to speak freely with one another about important topics, including HIV/AIDS, providing them with a positive focus to guide their lives in the right direction, in a rural setting while tending to horses, working vegetable patches, or managing fish hatcheries. Prince Harry will tour the ranch, and meet the young people working there who are benefiting from the programme. The Prince will arrive at Eugene F. Correia airport in Georgetown, the Capital of Guyana. This busy bustling city, nicknamed the ‘Garden City of the Caribbean’, is the urban centre of Guyana with a population of over 120,000, and a distinct Caribbean flavour. His Royal Highness will make his way to the centre of the capital, stopping to call on President David Granger. He will travel on to lay a wreath at the Independence Monument, before arriving at Camp Ayanganna, the Headquarters of the Guyana Defence Force. Here His Royal Highness will meet with groups of officer cadets, serving officers and veterans, who will take The Prince on a tour of the Base. Before returning to his hotel, Prince Harry will lay a wreath at Georgetown’s Commonwealth War Graves, in honour of those who lost their lives during the two World Wars and the pre-independence period. The penultimate day of Prince Harry’s tour will truly be one to remember as he takes to the skies to reach the remote wilderness of the Hinterland. Over 80% of Guyana’s land mass is covered by the Amazon rainforest, and tucked away beneath these incredible canopies are indigenous communities surviving and thriving in the jungle. His Royal Highness will visit one such community; where he will be met by village elders, who will lead Prince Harry to the centre of this indigenous community, which is just five-square miles in size. Prince Harry will receive an official welcome from the Surama villagers, around the gathering point of the village Totem Pole. His Royal Highness will hear more about traditional village life, and take a short trip to the village’s Eco Lodge to see how the community is embracing eco-tourism. From this friendly welcome, His Royal Highness will fly to the Iwokrama International Centre, which has a close link to Prince Harry; his father The Prince of Wales, has been the organisation’s Patron since 2000. Prince Harry will meet with rangers to learn about the forest, and the steps being taken to protect this important reserve, and the broader conservation efforts of the Amazon. Before arriving at the reserve, Prince Harry will briefly call into Fairview Village and pay his respects to the village Elders, as well as visiting the local school. The last day of Prince Harry’s Caribbean tour will finish with a visit to Joshua House Children’s Centre, in the centre of Georgetown. The charity, established in 1977, is currently home to more than 70 children, both girls and boys, typically aged between 5 and 12. The mission of the home is to rescue children who find themselves in unfortunate circumstances and whilst living here, have access to computers and libraries, daily meals and can learn skills like how to prepare those same meals, or even grow the ingredients used to create them. The charity manages to make a big impact on the lives of children who depend on vital services like those provided. Prince Harry will hear of this first-hand from the children living there, and the staff and volunteers who together make it all possible.